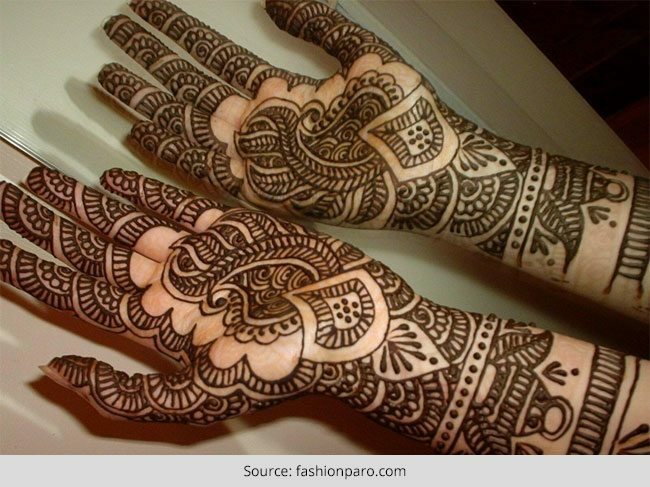 Take a look at 22 amazing and symbolic mehendi designs to decorate your hands on Eid! 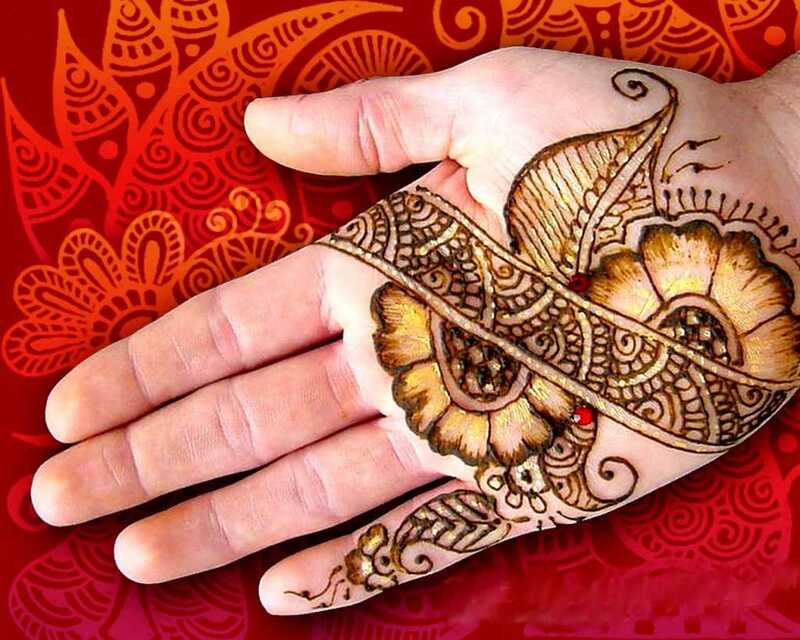 Applied fondly on the eve (or even before the eve) of Eid, Pakistani mehendi designs are known for their religious piousness. Acknowledged for its intricate patterns and interesting designs, each mehendi design has a story to tell – a tale of beauty, happiness, and spiritualism. In short a gush of all things festive and positive; and needless to say, an enchanting ritual to behold! 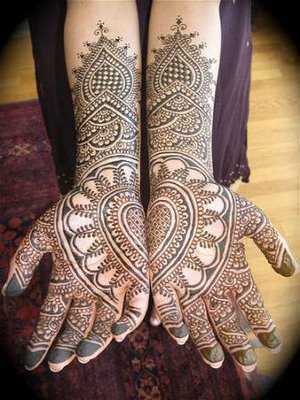 Eid mehendi designs are usually applied in a gathering of womenfolk; and is supposed to be a symbol of all things auspicious. In fact, according to my grandmother, in the bygone era mehendi was churned at home by grinding henna leaves, oil and water by hand. Today, we have professional mehendi artists, store-bought stencils and DIY mehendi designs that can be applied on women’s palms, arms and feet to celebrate the true spirit of Eid. 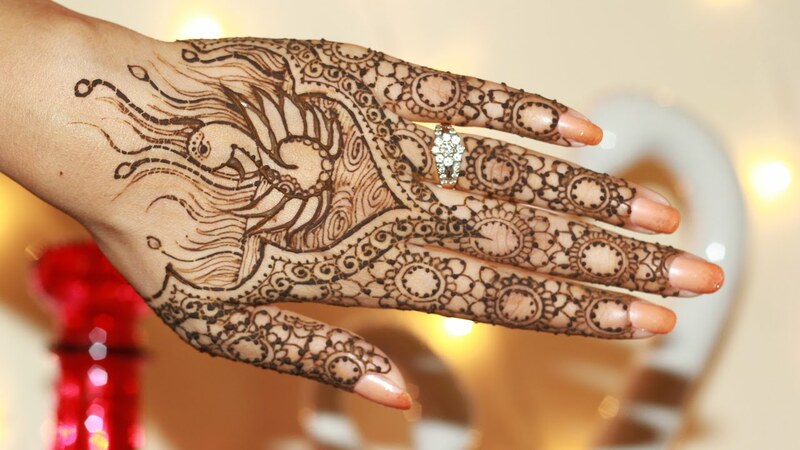 A fashion trend that has simply stood the test of time, are you someone who is always curious to know the meaning behind henna designs and meanings? Today, let us unearth for you the traditional meaning behind some of the best mehendi designs – designs so artfully done that are bound to leave you mesmerized! 1. 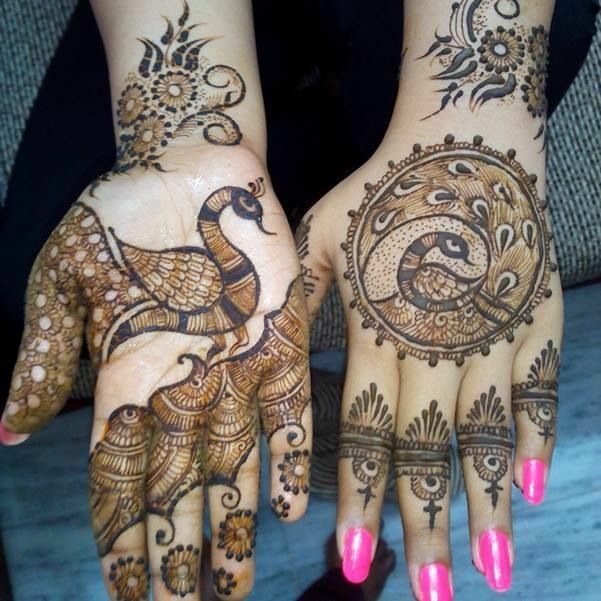 Peacock design: The peacock design ingeniously displayed on the palms and fingers of women signifies her feminine beauty and irresistible charm. The detailed design of peacock along with eyes and feather also stands as a symbol of prosperity and abundance. 2. Swan design: The swan design stands for success and beauty. When girls get their feet and ankles inked in swan design, it is known to exhibit confidence, coupled with wealth creation. 3. 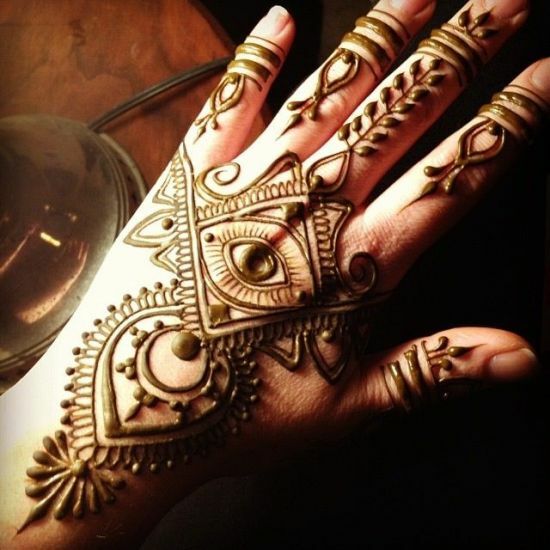 Eye design: The design of ancient eyes in mehendi is known to reflect the significance of evil eye. Basically, the eye design acts as a spiritual form of protection, routing evil eye out of her way. 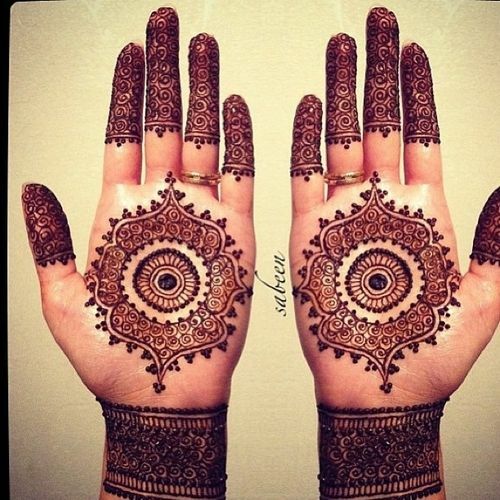 A mehendi eye design is also known to be one of the most popular and comforting companion for any women. 4. Intricate design: Life has its own fair share of ups and downs, and females known that all too well. 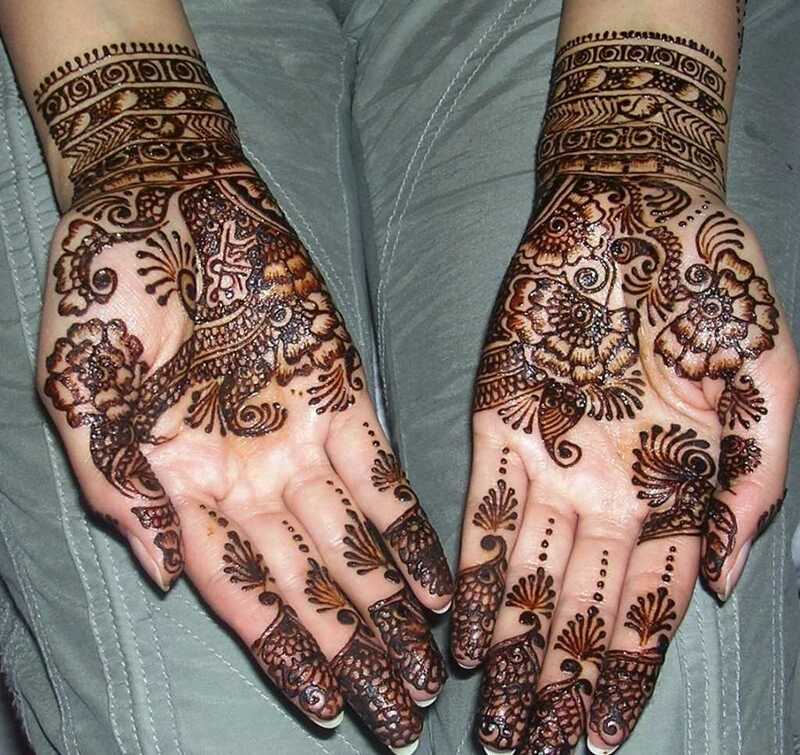 The intricate designs embossed on her hands symbolizes unity, bonding and togetherness. 5. Subtle motifs all over: Women is known to carry with her the powers of the Goddess, which is symbolized by subtle motifs on her palms and hands. The hands that pray, ensures that her family stays in well being always. She thus is an epitome of strength and divinity. 6. Creepers and vines design: Creepers and vines in mehendi designs symbolize devotion, vitality, perseverance and longevity, which are the pillars of a successful life ahead. A fixative homemade solution made of sugar and lime juice seem to work wonderfully for deepening the color of henna. Just dab the mixture on your mehendi softly and leave it overnight for best results. Take a pan and sauté some cloves on it. Two to three cloves would do the trick. 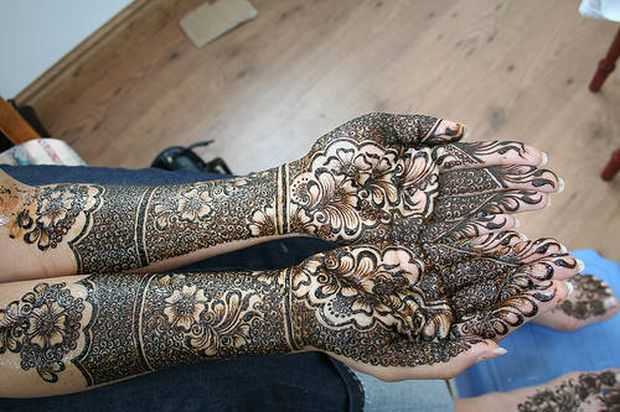 When your henna design has dried up completely, you can warm your hands over the hot clove to achieve that richer color. Once the henna starts to fall off completely, quickly apply some ‘Vicks’ on your hands. It is a sure shot way to get deeper and richer color! Thinking of getting rid off henna when it starts to fade and appear patchy? 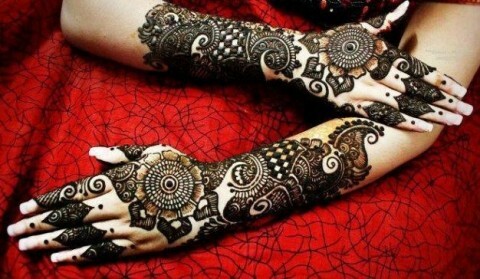 Simply wax your hands and feet or just apply cosmetic body bleach to quicken up the removal procedure of henna. Here’s wishing you all a colorful, joyous and special Eid 2015 booming with lots of sensuous Pakistani mehendi designs, which is sure to make your occasion blessed and festive.